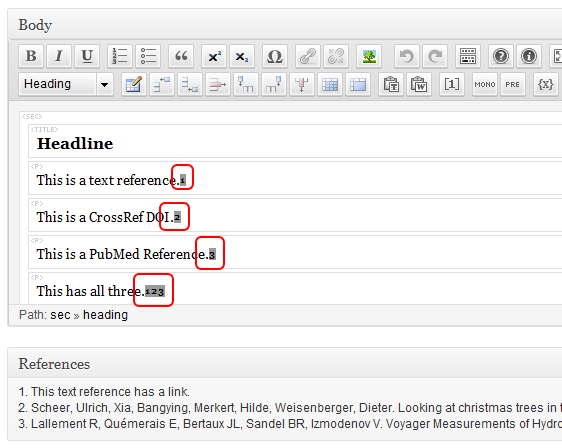 Annoutm allows you to create references and insert footnote markers for one or more references in your article text. 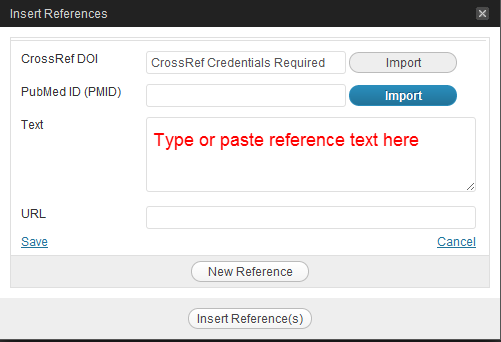 You can also import references using a PubMed ID (PMID) or CrossReff Digital Object Identifier (DOI). 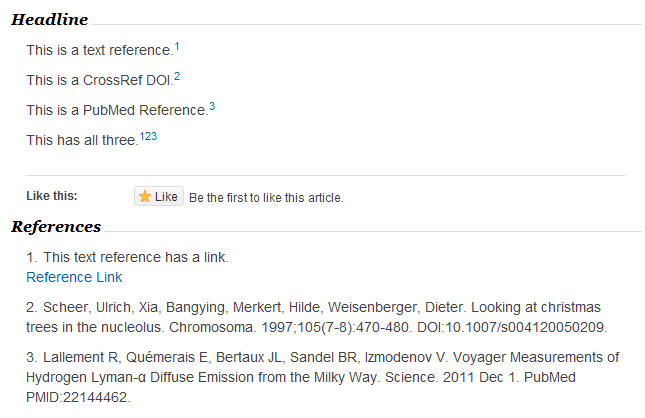 References that you add appear at the bottom of your article. Note: as of version 1.0, Annotum does not support sharing references between articles. Also, reference import and export is limited to the existing article XML import/export functions. To add a reference, follow these steps. Note: Be sure the cursor in your article is in the right spot before you click “insert reference(s)”. 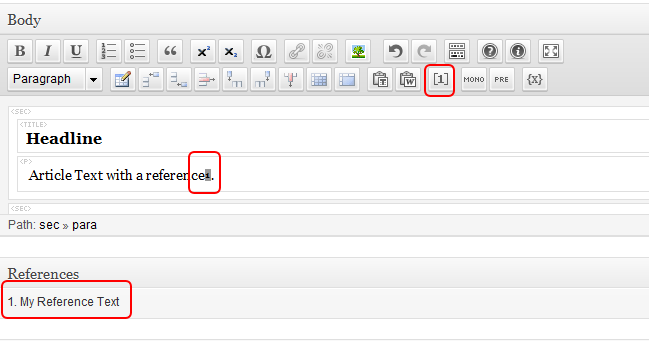 Once your references are created you can always close the Insert References dialog and insert the footnotes at any time. Note also that you can insert multiple notes simply by checking more than one box before clicking the “insert reference(s)” button. Note: these are not the same credentials used for registering CrossRef DOIs. For more information on obtaining credentials, please see this page. Also note that the password is not used for the DOI lookup.